Completing a private investigation class is usually the first step in beginning a career in the industry. Some states require prospective PIs to take courses and some do not, but no matter where you live, it is important to be prepared for your job. Although nothing can replace real-world investigative experience, a course can prepare students for what to expect and educate experienced private investigators on the newest technology and the latest laws. There are many programs that cater to beginning private investigators and many that host specific programs that are great for experienced investigators. 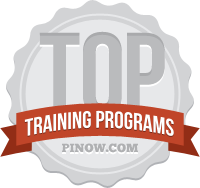 The team at PInow.com has searched for programs across the country and compiled the below list to make it easier for you to decide which program best meets your needs. Continue reading to see the details on some beginner and continuing education private investigator programs. For university or college accredited programs, please read our piece on The Top 25 Private Investigator Training and Education Programs. John Rose’s Academy of Legal Investigators in Oregon was founded in 1986 and was the first investigative school in the state. The 120 course takes place over six weeks and covers the basics of investigations, the business aspects of investigations and the advanced aspects of investigations. John Rose is an accredited investigator in the state of Oregon and his expertise is present in every course taught at the Academy of Legal Investigation. In addition to the basic training course, a number of continuing education courses are available. The Private Investigator Training program from the Allied School is a set of 5 lessons which can be completed at whatever pace the student chooses. A quiz is given at the end of each lesson and an online, two-part final exam is given at the end of the course. There is live student support and staff on hand to answer any questions students may have while conducting the lessons. Extra licensing exam study materials and practice tests are available for students in California. American Executive Security, a security and investigations agency in Virginia, offers the state-mandated 60 hour O2E Private Investigator Training course. The course gives students a solid background in private investigations and how their future career will fit in with Virginia state law. BeAPrivateEye.com offers an online course that covers the basics of a private investigations career. The course was created by the practicing private investigators of Compasspoint Investigations and students are welcome to email these investigators with any questions they may have. Students can complete the course in as little or as much time as they wish. The Blue Ribbon Investigative Institute located in Florida qualifies as the 40-hour course necessary to become a private investigator intern in the state. Course A is 24 hours of classroom time and covers the basics of investigation. Course B is 16 hours in the classroom and covers more specific aspects of private investigation. Graduates of this program will be qualified to take the exam to become a private investigator intern in Florida. The Bureau of Private Investigation aims to educate private investigators about the law so they can more easily interact with lawyers while doing their jobs. The home study Private Investigator Training covers how the law fits in with private investigations. Students complete their work and send it back to be graded. This is a valuable course for both beginner and practicing private investigators. Students receive a certificate of completion when they finish the course. The Detective Training Institute has been offering their online, self-paced Private Investigator Training Program for 24 years. Graduates will learn the basics of a career in private investigation and complete hands-on field exercises that better prepare them for surveillance and tracing. The Discovery Detective Agency offers a Professional Investigator Master Course in Arizona. The program is also offered virtually for students attending from out of state. The program takes place over 5 months and prepares graduates for a career in investigations. The Discovery Detective Agency believes courses should be an interactive discussion between students and teachers so virtual students must be present on webcam during each class session. The Private Investigation training offered at the Emergency Educational Institute International is a 40-hour program in the state of Florida. Only one day in classroom attendance is required. Upon completion of all homework and exams, developed by experienced private investigators, students receive a certificate of completion that will qualify them to become a private investigator intern in Florida. The Global School of Investigation’s home training program allows students to work at their own pace. The content of the private investigator training materials was written by experienced detectives. Students of the Global School of Investigation’s private investigator training program can complete the course in 60 days or less and prepare themselves for a career as a private investigator. Investigative Training offers several continuing education private investigation courses as well as the 40-hour course necessary to become an intern in Florida. All courses are available online and exams become accessible once the student has spent a certain number of minutes on the course. The 40 hour Florida course combines the 24 hour part A and 16 hour part B courses creating a comprehensive class that prepares students to become private investigators. In addition to the 40 training course, continuing education courses are also offered. JB Investigations and Security Services Inc. in Virginia offers a Private Investigator Training course and a Private Investigator In-Service course. Both meet the requirements of the Virginia Department of Criminal Justice Services. The Private Investigator Training course is 60 hours long and is broken up into 5 sections. Students will learn how to begin their careers as private investigators. Learning Shop USA has a number of courses that are approved in 16 states. The programs focused on private investigator training are specific to state licensing requirements in the approved states. In addition to their general course, they have a number of classes that get into specific components of a private investigation career. The Lion Investigation Academy offers a distance learning Private Investigation Training course. The course is 80 hours of clock time and students have up to one year to complete the course. Students are required to turn in at least one test per month. The curriculum is detailed and will prepare students to enter the private investigations field. The Private Investigators Academy of the Rockies is an in classroom private investigator training course taught by Rick Johnson, who has been a respected investigator in Colorado for 35 years. There are no licensing requirements for private investigators in Colorado, so figuring out how to start a career is difficult. Mr. Johnson believes his course will thoroughly prepare students for investigative work. The Private Investigator Training Institute in Florida offers a part time, 6-month, in classroom program aimed at educating students to become private investigators. The eight course program covers the basics of private investigation in detail and thoroughly prepares students for their careers. The Professional Investigator Independent Study Course offered by the Georgia based Pro PI Academy is an online, 80 hour course that covers the basics of a career in private investigations. The course is taught by a licensed instructor and students can reach them by email or phone while completing the program online. All registration and training requirements necessitated by the Georgia Board of Private Detective and Security Agencies are met by this course. In addition to the general training program, the Pro PI Academy also offers continuing education. SecretsofTopPrivateEyes.com offers an online training program that breaks up the basics of private investigation into eight modules. The course was developed by twelve private investigators specializing in different areas. Students of this program will learn how to start their careers as private investigators and gain access to an online community of other students and private investigators. Sexton Investigations, run by John Sexton a 34 year veteran in the industry, offers classes on security and investigations. The course covers a broad range of investigations and includes information like interviewing techniques, surveillance and counter surveillance. The course is taught by a number of professionals including investigation agency owners, attorneys and subject matter experts. Special Solutions Ltd. offers a Private Investigator Training course in Illinois. The 20 hours of classroom time meet the Illinois requirements for becoming a private investigator. Students who complete this course will learn the basics of private investigations and be better prepared for their careers. Stingray Investigations, a private investigation agency in Virginia, offers training courses for private investigators and security professionals. The O2E Private Investigator course meets the 60 hour training requirement necessary for private investigators in the state of Virginia. The course covers the basics and details of private investigations and the laws regarding private investigations in Virginia. The distance learning Private Investigator Training program at the Stratford Career Institute can be completed at the students pace in anywhere from 6 months to two years. Students have access to instructors by email so any questions can be answered. Graduates of this program receive a career diploma upon completion and are educated in the basics of private investigations. CE credits available in the following states: AR, GA, IA, KS, KY, LA, MN, MO, NC, NM, OK, OR, SC, TN, TX and CA soon. CE credits available in Georgia. CE credits available in Texas. CE Credits available in Florida. CE credits available in the following states: AZ, GA, IA, KS, KY, LA, MN, MO, NC, OK, OR, SC, TN, TX and VT.
CE credits are available in the following states: IA, KS, KY, OR, SC, TN and TX. CE credits are available in the following states: AZ, GA, IA, KS, KY, LA, MI, NC, NM, OK, OR, SC, TN and TX. No matter if you are a seasoned investigator or a prospective PI, the private investigation industry is changing constantly. Make sure your skills are up to date and consider taking a class on the basics, or the specifics, of private investigation. If there is a private investigation training or continuing education program that you know about and that we have missed, please contact us and give us some additional information. If you made the list, you may add the following badge to your program's web site. This will help prospective students recognize your program as a top investigation training program. Double check the private investigator requirements in your state with our resource here on how to become a PI.